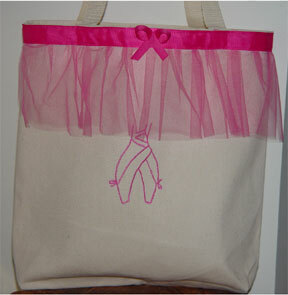 Cotton canvas tote bag rimmed at the top to look like a ballerina's tutu! Machine embroidered ballerina en pointe completes the look. Your child will ALWAYS be able to find their bag at the end of dance class.